Before you become pregnant, the choices you make affect your chances of conceiving and the health of your baby. Once pregnant, you want to do everything you can to give your baby what they need for a healthy life. And after your bundle has arrived, your own health can take a backseat. It’s important to nourish your body, exercise at the appropriate level, and find healthy ways to manage stress. While your health care provider will give you lists of what to do and what to avoid, when it comes to day-to-day decisions it can feel overwhelming. By working with a coach, you’ll have a personal guide to breakdown big picture goals into small manageable actions. 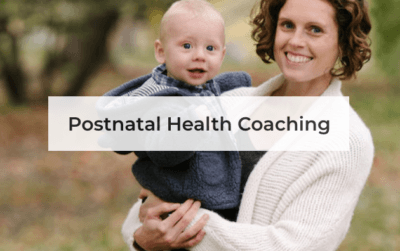 Making lifestyle changes isn’t always easy, that’s why I strive to make it as easy as possible, acting as your personal cheerleader when you doubt yourself, keeping you on track to your goal of a healthy baby, and beyond. Your doctor will monitor your numbers, I will nurture your actions. 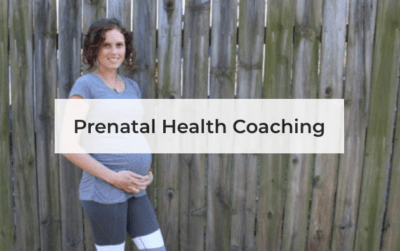 Health Coaching is not a one-size-fits-all program. While I cover the same topics with all of my clients, each session is driven by you, ensuring we discuss them in a manner that fits where you are at that time. You’ll come away with a deeper understanding and a plan in place! They have a safe space to share fears and questions without judgement or embarrassment. Talking through their struggles often brings clarity to what specific goals they want to work towards. Accountability! Saying your goals aloud can be scary, but having a scheduled check-in is typically the push they need to make progress. My experience. I share what I’ve learned from my own experience, in my reading/courses, and from working with a variety of women. They don’t have to reinvent the wheel. They feel supported and heard. They always have a clear goal, with clear actions.